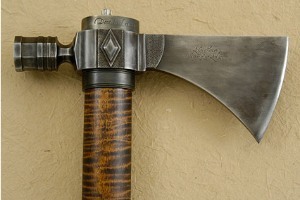 The head was hand forged from 52100 carbon steel with an antiqued, heirloom finish. 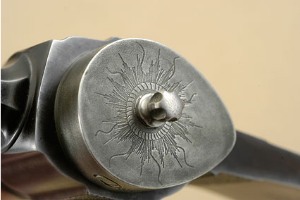 The left side of the head features an engraved sun design. The right is inscribed: "L.C. Hansen / In the year of our Lord 2011". The octagon bowl is sculpted and textured, moving into an octagonal neck. 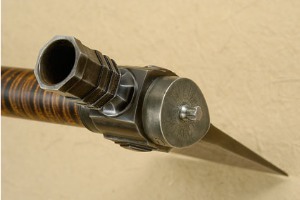 A threaded titanium plug is easily removed for cleaning the titanium tube that moves through the haft. 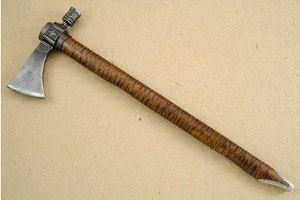 The haft is formed from presentation grade curly maple wood. The head measures 8-1/3 inches from cutting edge to the end of the bowl. The cutting edge is 3-1/2 inches long. 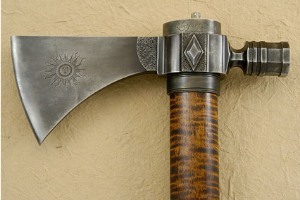 The haft measures 23-1/4 inches overall and is finished with a pewter collar and end caps. Exceptional work throughout. 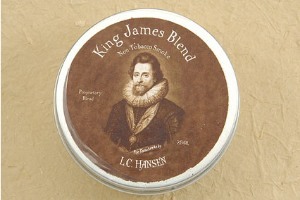 The hawk is accompanied by a tin containing Lonnie's "King James Blend Non-Tobacco Smoke". 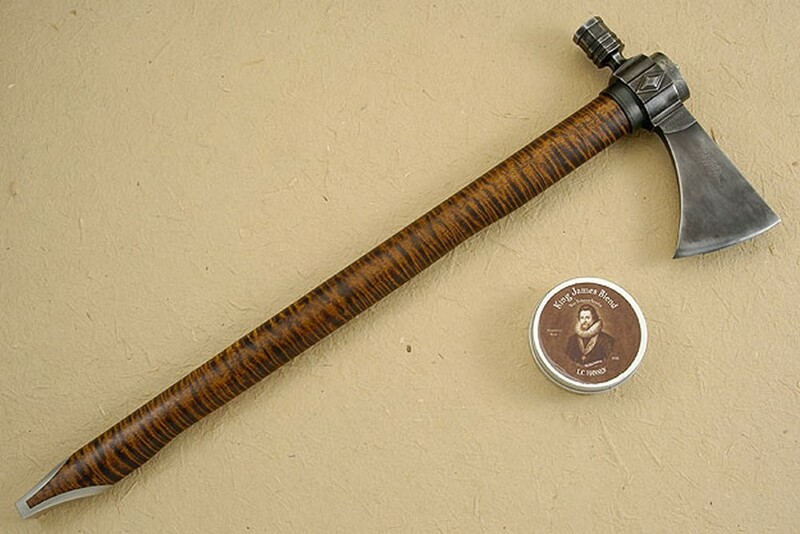 When Lonnie wanted to test how his pipe hawks worked, he wanted something that could be smoked without real tobacco. He did a lot of reading and experimenting and finally settled on this formula. Everything in it is legal. Though he doesn't want to give the exact recipe, the 3 major ingredients are mullein leaf, coltsfoot leaf, and mugwort.